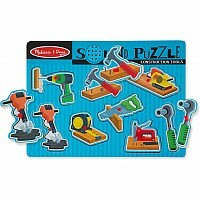 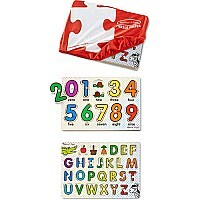 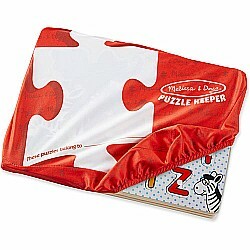 This innovative design is a must-have for anyone who has ever wanted to take their puzzles on the go. 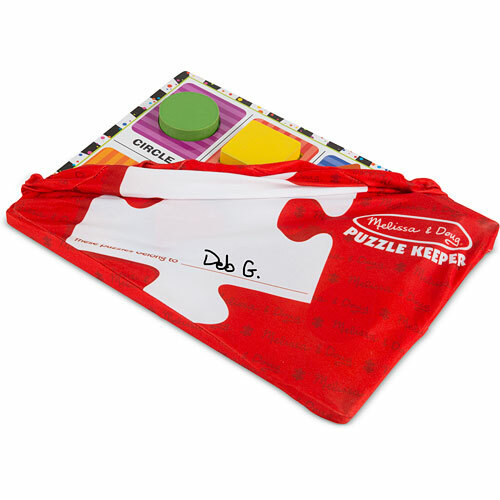 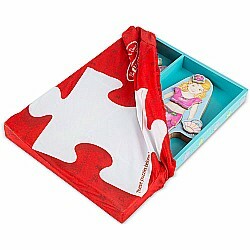 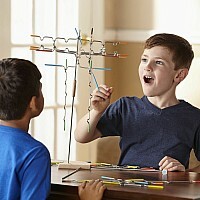 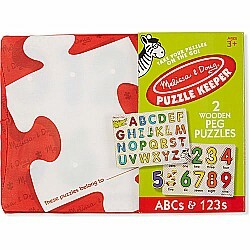 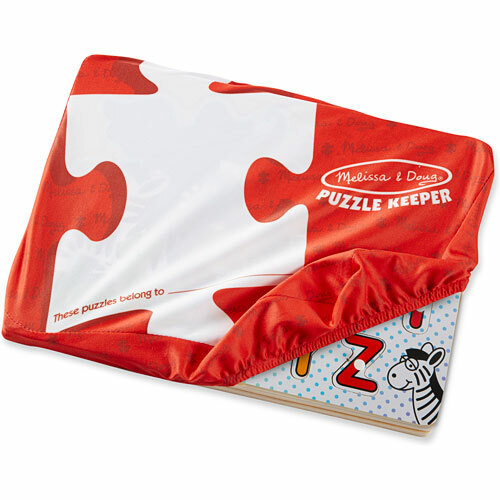 The machine-washable polyester-spandex Puzzle Keeper holds a pair of peg puzzles so none of the pieces get lost, even if you toss it into a bag. 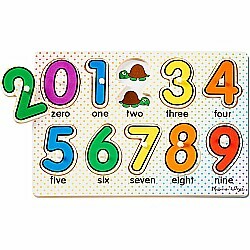 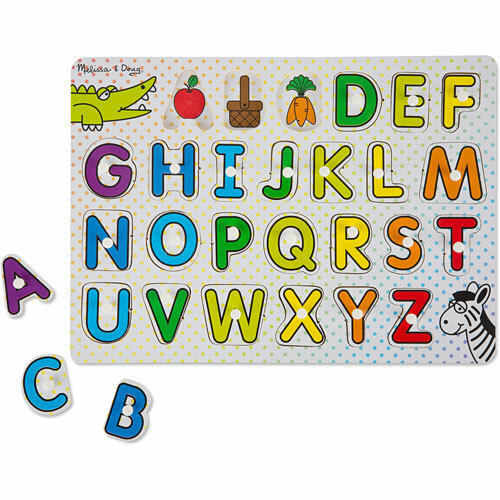 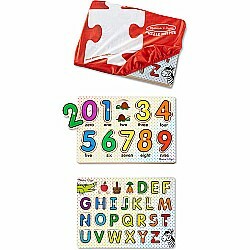 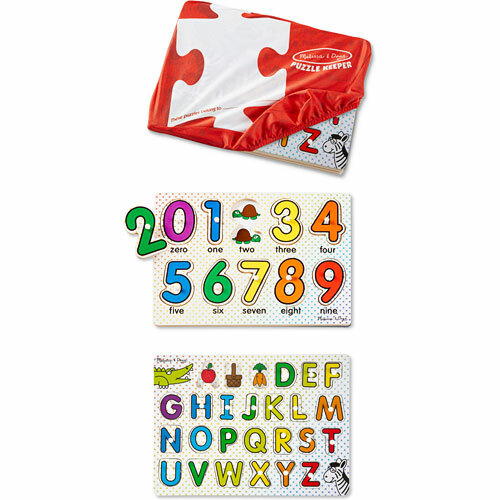 Featuring the letters of the alphabet and numbers 0 through 9, the puzzles also have adorable pictures printed on the board, like a smiling moon (under the letter M) and 7 little ladybugs (under the number 7). 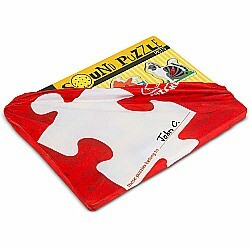 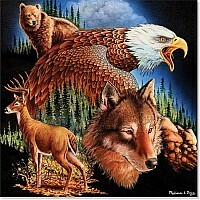 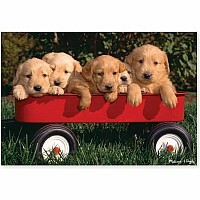 Measures approximately: 1.00 x 8.50 x 11.70 inches..